Have you had an internet safety talk with your kid yet? If not, have it right away. Children today start using the internet at a very young age, so it’s up to you as a parent to help them make the right choices. Kids are fast learners, especially when it comes to using Internet-enabled devices. However, they don’t know anything about malware, cyberbullying, identity theft, stalking, phishing scams, and many other dangers that lurk online. Therefore, it’s important to introduce them to the good and bad sides of the internet and explain why safe online behavior is important. If you don’t know what to tell kids about online privacy and safety, these guidelines will help you start the conversation. However, don’t just follow these tips blindly – modify them according to your kids’ age and share your personal experiences, too. Be an example your kid can follow. Ask yourself: do you tend to overshare on social media or check your phone a little too often? If you want your kid to be careful and responsible online, you should start with yourself. It’s crucial to know what you are up against. Being informed about the most common Internet scams and the latest threats will get you in a lot more comfortable position to advise your children. One of the best ways to learn more about online privacy and security is to subscribe to our blog newsletter at the bottom of your screen! 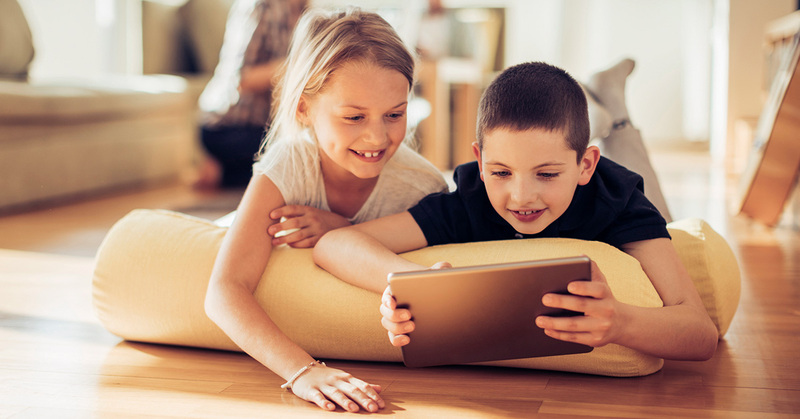 If your child already knows how to play a video on Youtube or is able to download a gaming app without your help, they also should learn how to do it safely. Therefore, it’s important to start explaining the basics of privacy and cybersecurity at an early age. What’s also extremely important from the very beginning is an open line of communication. Your children must know that if they have any questions or get into trouble, they can always talk to you without fear of getting into (too much) trouble. Many people still think that inappropriate content is the only threat to young ones – this is a myth that we need to bust immediately. Every parent should talk to their children about online privacy – why it matters, how it can be violated, and why it is dangerous to share your personal information on the Internet. Give relatable examples of what personal information is – your address, social security number, phone number, account credentials, and explain to them how stranges could use this information in a malicious way. For instance, sharing your family’s vacation pictures on social media is a clear sign that nobody’s at home. Bad guys may use this information to rob your house. When you feel it’s the right time (the earlier the better), educate your kid on cybersecurity. Tell them about the most common hacking types and social engineering attacks, how to recognize them, and how to avoid them. Also don’t forget to discuss what can lead to identity theft and what to do if it happens. 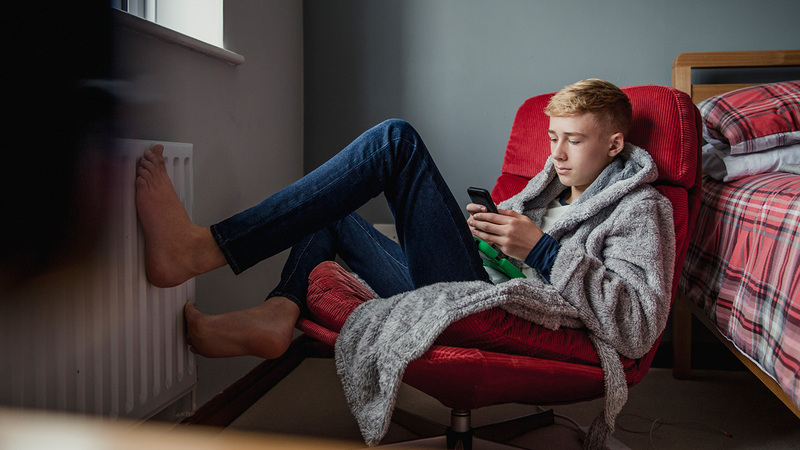 Your child should know the risk is real, so they should never open messages from unknown senders, click on suspicious links or download sketchy applications. Tell them that something looks strange, it’s better not to open or download it. If they are worried, they can always consult with you first. 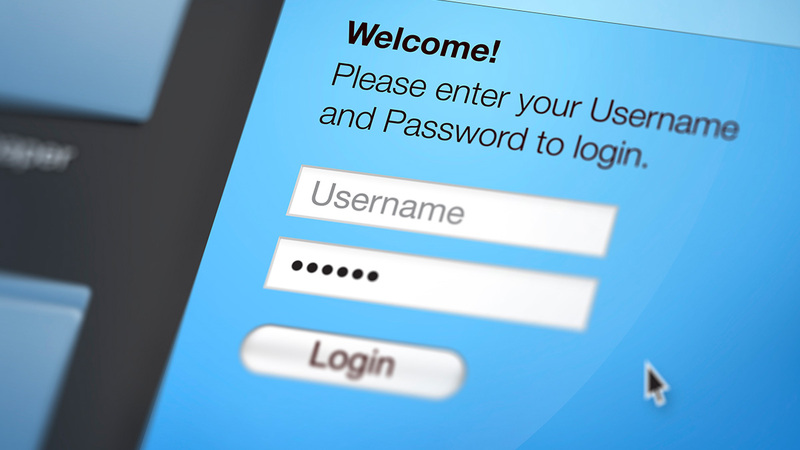 don’t use your social media logins to authorize apps. An additional tip for parents: watch from a safe distance. Ask your kid if you can be their friend on social media and clarify that you won’t embarrass them! This way, you will be able to see what people are on their friends’ list, and what content your teen shares or creates. Cyberbullying is as serious as offline bullying, and with the rise of social media, it’s vital to educate your kids on how to recognize cyberbullies. There are many forms of cyberbullying that could hurt your kid, starting with seemingly innocent fraping to hurtful cyberstalking or catfishing. You can familiarize yourself with them by reading our in-depth guide on cyberbullying. Whether it’s online or off, kids might find it hard to talk about bullying. Their emotions are running high and they don’t know the best solutions in a tricky situation. The last thing they want is for adults to interfere and for other kids to make even more jokes about them. It’s essential to have an open chat with your kid and educate them on the types of cyberbullying. They’ll then be less likely to keep such problems to themselves if they know that every problem has a solution. As soon as your kid wants any online account, you should introduce them to password security. Help your kid create a strong, complex and unique password so that snoopers can’t break into their account. If you want to use dictionary words, replace some of the letters with numbers or special characters. Don’t use the same password for different accounts. Most social media, messaging or email services allow their users to manage their privacy settings. Sit down with your kid and adjust those settings right away to make sure your kid’s profile is as safe and private as possible. Explain why you are doing this – children should realize that nothing you do online is private, and therefore, it’s important to take certain steps to keep yourself away from prying eyes. To manage your privacy settings on most popular social media services, follow the tips provided in this comprehensive article. Teens love to hang out with their friends in shopping malls, coffee shops, and other public places – and using public WiFi. However, they should know that connecting your phone to a free WiFi hotspot may be dangerous, as public networks usually lack proper protection. Your kids may be putting themselves at risk of being hacked by cybercriminals. Nevertheless, it would be naive to think that these warnings will always keep children away from public WiFi. What you can do is get your kid a reliable VPN service. 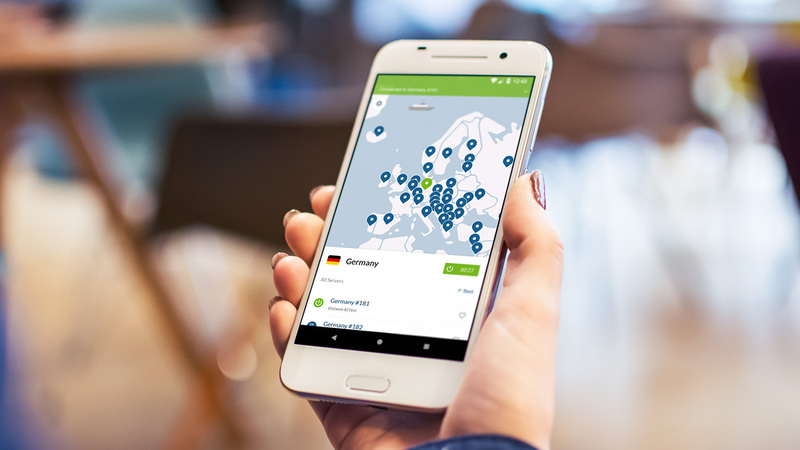 If you already have our subscription, you can install the NordVPN app on your kid’s iPhone or Android device at no extra cost. A VPN takes your Internet traffic and redirects it through a virtual encrypted tunnel. Robust encryption will make sure no snooper can see what your kid is doing on the Internet, even on unsecured public WiFi. 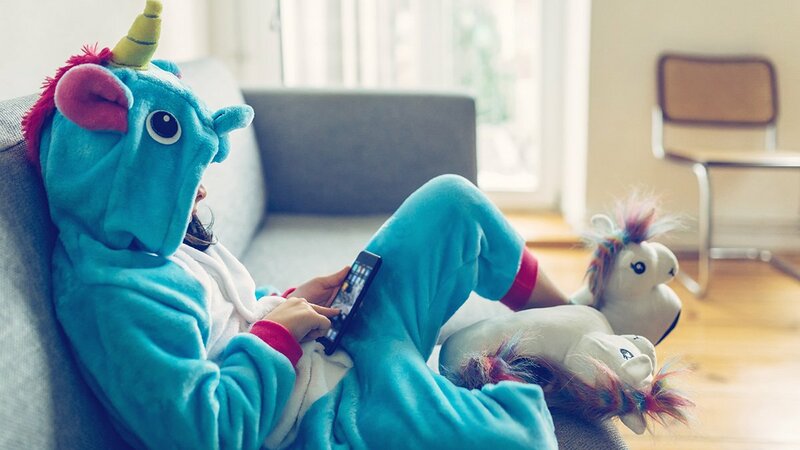 The only thing they need to do to stay protected is open the app and tap the Quick Connect button – NordVPN will take it from there.